County Longford Golf Club is a scenic place to play golf, with panoramic views of Longford town and the surrounding countryside to be savoured on almost every hole. 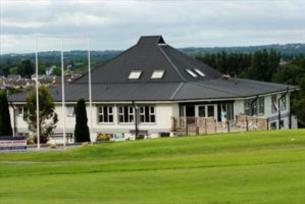 County Longford Golf Club is located just outside Longford on the main N4 from Dublin. Newly redesigned, it officially reopened in May 2005. It was founded in 1894 and is a parkland course with mature trees. A stream comes into play at a number of holes, including the last, so you won’t be able to let your guard down until you are safely back in the clubhouse. Additional water features have also been introduced, especially at the signature hole at number 12. County Longford Golf Club is a scenic place to play golf, with panoramic views of Longford town and the surrounding countryside to be savoured on almost every hole. The course measures over 6,700 yards and has a par of 72. Trolley and buggy hire is available, while the clubhouse has a bar, restaurant and pool facilities. New members and societies welcome.